Skinfood is hands-down my favorite affordable skincare brand, so when Ulta was having the 10x points sale a while back and BOGO 40% on Skinfood, I decided to take advantage and pick up a few of their more expensive products that I've had on my list to try. 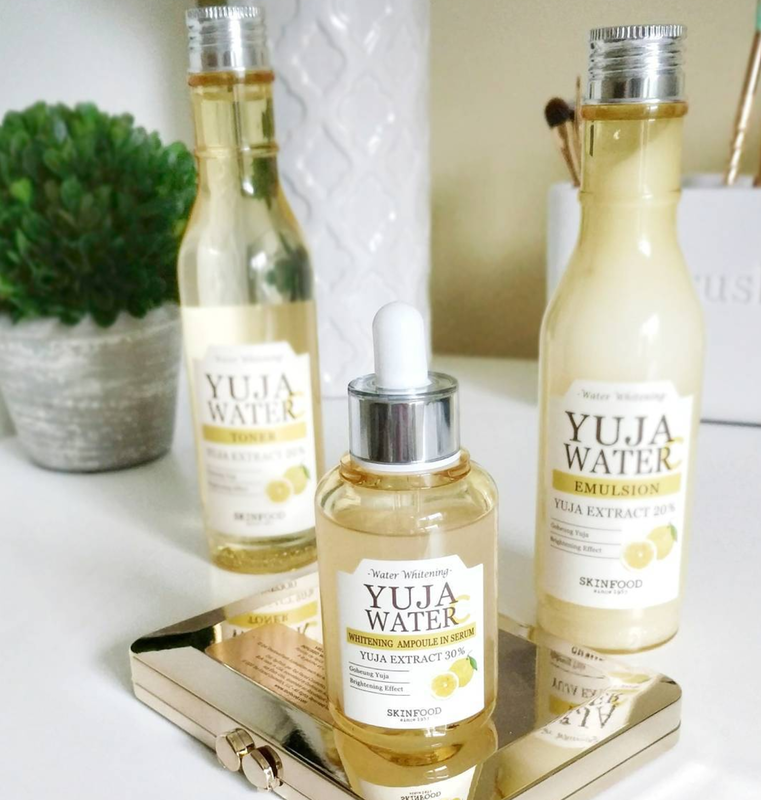 On the top of my list was the Yuja Water C Whitening Ampoule in Serum ($39). It contains organic Yuja fruit extract and oil which is high in vitamin C and has been shown to lighten melasma and hyperpigmentation. It's a light serum with a very slight citrus scent that shouldn't bother most people. It sinks into my skin and disappears quickly, leaving no sticky residue. I have quite a few brown sun spots underneath my eyes and across my cheeks from past sun exposure and I've been trying to lighten them for several years now. I had noticed a slight difference after using the Kiehl's Clearly Corrective Dark Spot Solution ($49.50) and also the Garnier Dark Spot Corrector ($16.99) over the past couple of years but the spots largely remained. So I was very surprised to see my spots fading noticeably after only a few weeks of using the Skinfood Yuja Water C Ampoule. It has also brightened my skin quite a bit...I didn't realize how much until I saw my before and after photos! 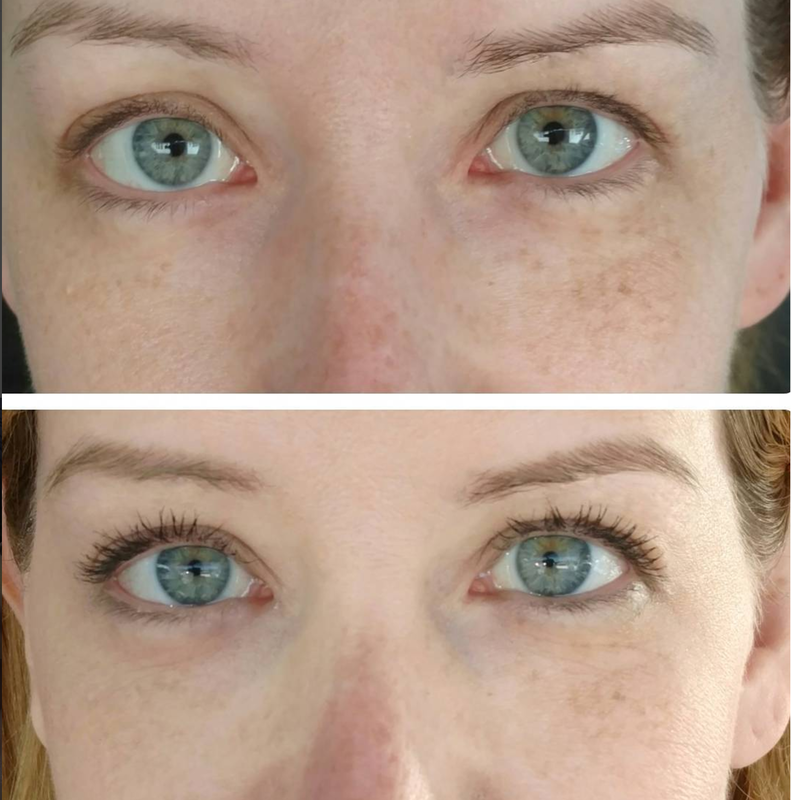 In both photos, I'm makeup free (wearing just mascara in the after photo on the bottom). You can still see the same spots in the after, but they're much less noticeable! Also, I've been very diligent about wearing sunscreen lately, ever since discovering the Cotz Primer I reviewed over the summer. If you're trying to lighten spots, sunscreen is a must because you don't want to develop new spots or undo the progress you've made by allowing your skin to make more melanin. I'm excited to see how much more my spots will fade with continued use. Skinfood just sent me the toner and emulsion (moisturizer) in the Yuja line this week, so I plan to add them into my routine as well. The spots are definitely less noticeable in the after photo. I wonder if it'll work to fade acne scar? I'm always looking for something to help brighten my skin and fade my acne scars so I'll keep this product in my radar. I hope to hear about the other two products as well!